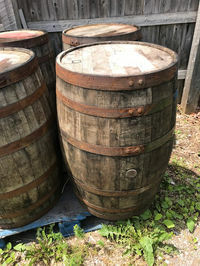 Banded and bunged aged wooden barrels. $195/ea. Shipping extra. Hops growing has a long tradition in Michigan since the 19th century and with the recent introduction of hardy Michigan hopps varieties and a love of craft beers, hops production is a booming business. 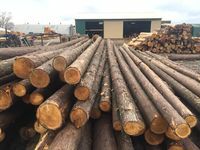 These cedar log poles are ideal for hop trellising. 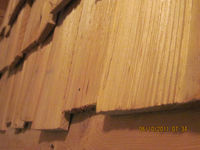 Smooth surface cedar shingles used for roofing. 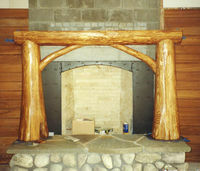 Hand split cedar shakes used for walls. Shingles are smooth while shakes are rough (hand split). 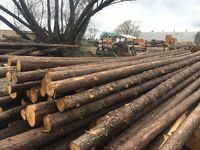 Both can be used for roofing and exterior or interior side walls. 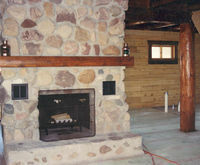 Smooth cedar is easier to clean while rough shake provides a more 'rustic' look. 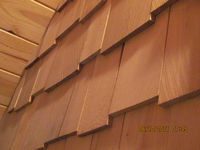 Red Cedar shingles are 24" long and variable width. The top of the shingle is nominally 3/4" thick and tapers to near zero at the bottom of the shingle. The reveal (exposure) is typically 10". There are 5 bundles to a square and a square covers a 10' x 10' area. 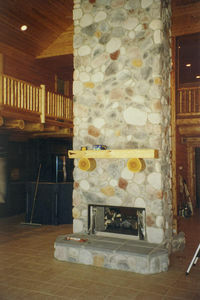 Northern White Cedar shakes are hand split with a fairly uniform thickness from top to bottom, nominally 1/2". 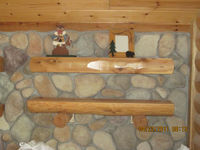 The length is 16" to 18" with a variable width. The reveal (exposure) is typically 9". There are 10 bundles to a square. Sizes: 6", 7", 8", 9", 10", 11", 12", 13", 14", 15", 16"
Size: 500 7.5" fasteners plus one Torx T-30 driver.